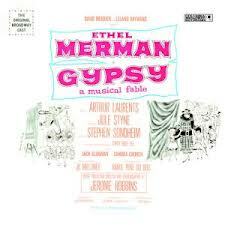 “Small World” is from the great 1959 musical Gypsy by Jule Styne and Stephen Sondheim. Based on the memoirs of Gypsy Rose Lee, it tells the story of the mother, Rose, and her two daughters, June and Louise, and her obsession to make it in the vaudeville circuit. The role of Rose was written for Ethel Merman and is one of her finest and most complex roles. “Small World” is sung by Rose and Herbie, who has the misfortune to fall in love with Rose. Gypsy is arguably the best musical ever written and has been revived many times on Broadway. Funny, isn’t it? small and funny and fine? “Small World” was recorded on August 28, 1962 and released in 2013 on the album Bennett/Brubeck: The White House Sessions Live 1962.